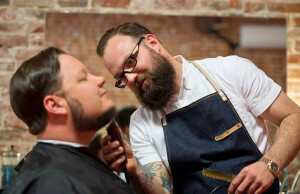 With the rising popularity of beards, an increasing number of barbershops are offering beard trims. And most men who seek the help of a stylist to have their facial hair trimmed often look for something more than the usual razor shave. For this reason, many barbers make use of professional beard trimmers. Apart from minimizing the discomfort of razor burn, these electric gadgets shave with efficiency and precision. It therefore comes as no surprise why many expert barbers settle for electric beard trimmers over the traditional scissors or razor. Barbers require the best beard trimmers in order to meet the demands of their work. A reliable trimmer is one that shaves beards in a wide range of styles and lengths, doesn’t jam in the middle of a trim and delivers consistent accurate cuts. To achieve this goal, most barbers use professional grade trimmers, which are quite different from those designed for occasional home usage. The main aspect that distinguishes barber quality trimmers and other ordinary shavers is that the former models can endure all day use without jamming. Besides supporting heavy-duty usage, professional beard trimmers usually provide versatility, easy maintenance, and convenient features that make beard grooming a breeze. Whether you want to start your own barbershop or enjoy the reliability of a professional beard trimmer, it’s important to know the best brands in the market. So, if you’re looking for suggestions on a barber’s choice for a professional beard trimmer, here are a few good options that are worth considering. This barber trimmer is ideal for professionals who prefer the convenience of a cordless electric shaver without having to worry about the battery dying in the middle of a shave. The Sterling 2 plus professional barber’s hair trimmer provides up to 90 minutes of continuous cordless operation on a single charge. That is roughly 30 to 40 minutes more runtime than what you would get from a typical domestic cordless trimmer. The quick charging stand is also very easy to use and recharges the battery quickly. 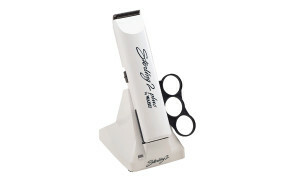 An interchangeable finger ring is provided with this trimmer, which gives extra control during operation. You can use one of 4 guide combs to cut hair at different lengths. For those who want a clean, smooth shave, shaving without any attachment leaves only 0.5mm of growth. With a cutting width of 28mm, this trimmer also shaves and trims sizable sections with every stroke. One of the unique attributes of most Wahl beard trimmers is the use high quality blades. The Sterling 2 plus is no exception as it features rustproof, chrome-plated blades. You can easily snap off the blades for cleaning. Maintenance is also easy, since all you have to do is clean the blades using the provided brush and oil them as recommended in the manual. The Wahl detailer is certainly a good quality and versatile beard trimmer. Although it was specifically designed for outlining or detailing, you can use it to do a lot more than simply shaping your beard. This trimmer is also ideal for hair trimming, balding, or cleaning up the neck area. It comes with several guide combs available in 3 sizes: 1/16”, 1/4” and 3/16”. So, if you’re looking for a trimmer/detailer to maintain a beard longer than 1.5 to 5 inches, then this is the right tool for you. With its burgundy and chrome-finished casing, the Wahl detailer is a stylish trimmer for the classy barber. Its ergonomic design is just as impressive as its aesthetics. The lightweight design provides great control and balance when trimming. This trimmer also cuts hair with speed and ease. Powered by an electric rotary motor, the T-shaped zero adjustable steel blades allow for easy cutting and trimming. Since this trimmer uses a fixed cord, you’ll get continuous operation as long as there’s mains power available. The cable is over 2m long, so you don’t have to worry about entanglements as long as there’s a wall socket nearby too. The Wahl 9854-802 grooming station is the ultimate barbers’ choice for those who demand performance and versatility from their grooming accessories. This cordless beard trimmer provides one of the longest operating times you’ll come across. With up to 150 minutes of cordless use, it runs even longer than your typical NiCad/NiMH trimmers. Running on a lithium ion rechargeable battery, the Wahl 9854-802 grooming station only takes an hour to get a full charge. However, you can also take advantage of the 1 minute quick charge feature in case the battery dies just before completing a trimming job. 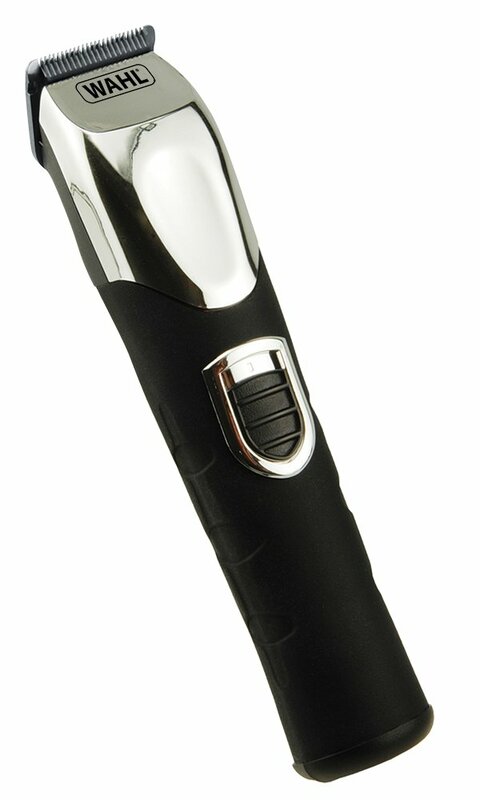 From a close ultra-shave to intricate trimming and detailing, the 9854-802 Wahl beard trimmer can handle just about any grooming task designed for an electric clipper. Much of its versatile operation has to do with the numerous attachments that the trimmer uses. Using the dual shaver, clipper blade, trimmer blade or precision detailer, this shaver can trim the ears, nose, eyebrows, and head, or style your beard. Depending on the chosen attachment comb, cutting lengths range from 0.5mm to 14mm. The decent range of length settings and multiple guide combs allow this beard trimmer to maintain anything from a long beard to a clean shaven face to a stylish stubble. As an added bonus, the trimmer stand that comes with this unit holds everything in an organized manner. Everything you need to maintain the trimmer is provided and Wahl provides plenty of extra accessories if you want to add more functionality to the 9854-802 grooming station. Although Wahl is not the only brand that makes great barber quality trimmers, it’s one of the pioneering manufacturers of electric trimmers with over 90 years in the industry. Therefore, you can trust this brand to offer the ideal professional beard trimmer that will serve your needs.